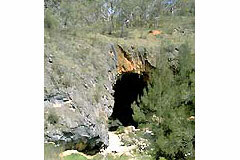 The Abercrombie Caves are open Thursday to Monday (closed Tuesday and Wednesday). Open everyday NSW school holidays. There is a bushwalk along Grove Creek and another to Mount Gray. Visitors camping, staying in the guest cottage or cabins, share the peaceful surroundings with wallabies, kangaroos, wombats, and many species of birds. For more information please refer to the National Parks & Wildlife Service listing including website link. Also see Things to See and Do. Complete your details below and your enquiry will be emailed directly to Abercrombie Caves. Please check your contact details are correct to ensure the quickest possible reply.